Useless Impression. After giving a shot -- Invention. "What a damn product." That's the very first impression of this product. 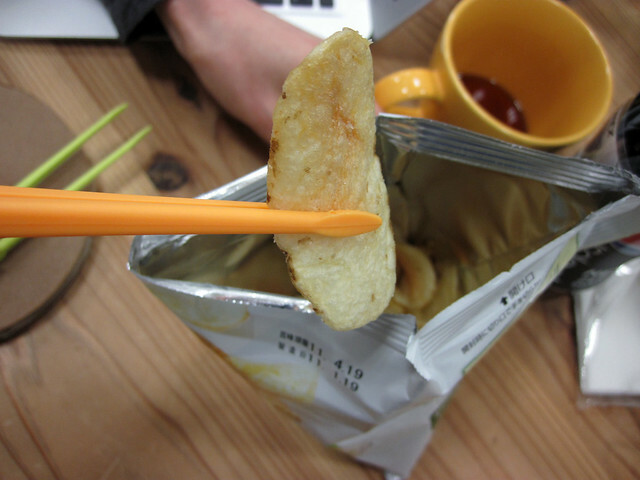 Why do you need damn tongs to eat potato chips from a bag? But after giving it a shot -- it's not that strange anymore. 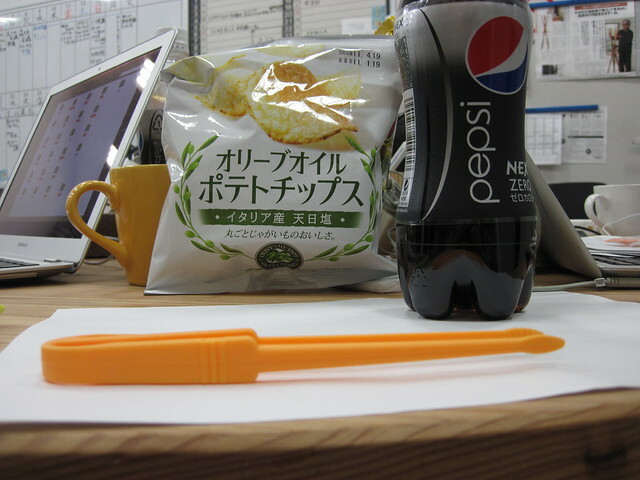 Calbee, one of the largest snack producers in Japan and famous for its wide range of potato chips products, produced tongs, designated for eating potato chips. First of all, why tongs for potato chips? Its answer is simple. This is for an office worker. 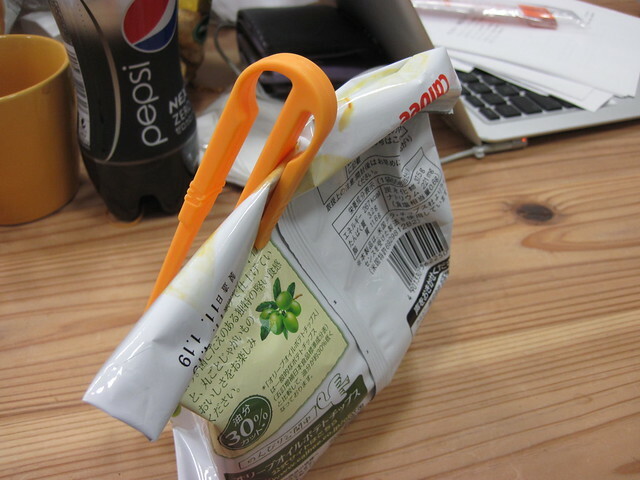 What do you do when you are using your laptop and eating a bag of chips at the same time? You've got to wipe off oil on your hand with Clinex or in the worst case, your pants, so that the keyboard won't become oily. This particular product is a solution for this wiping concern. From design perspective, this is an extremely-user-oriented product. 1. 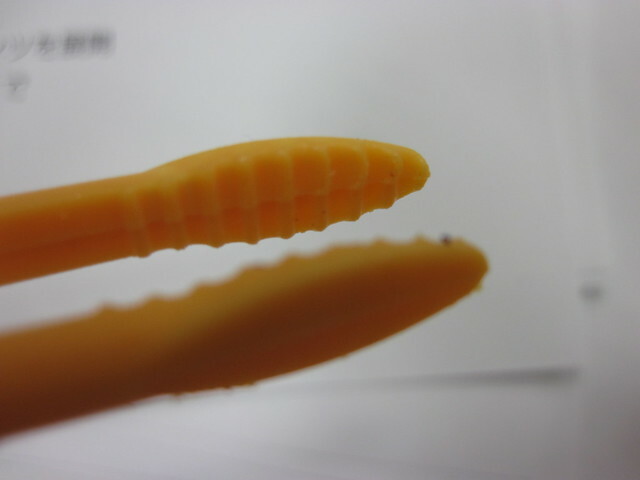 Grip on the tip: Allowing to capture the slice firmly. 2. Tip lifted: When the tongs are placed on a table (flat surface) the tip won't touch the surface -- great design for those of you who are hyper sensative on hygiene. 3. Tongs = clip: Simple, yet functional. 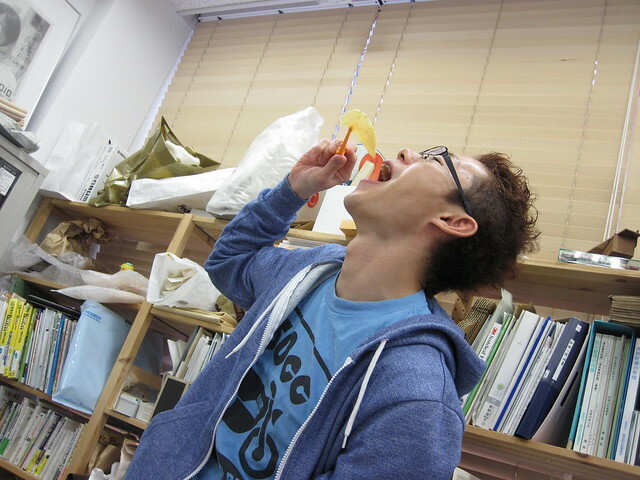 What about the act of eating a bag of potato chips slice by slice? It takes time, but is a great suppressor of heart burn, caused by overeating of chips. 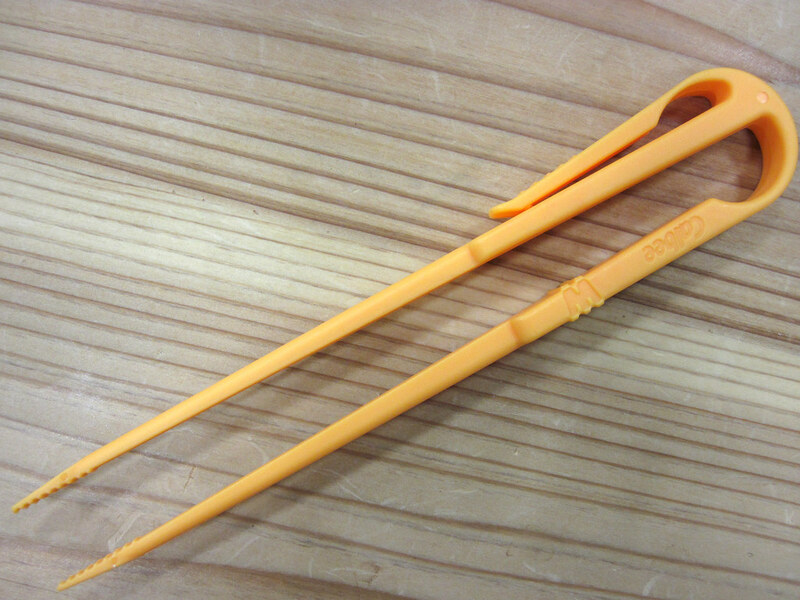 Other than Calbee, the tongs are available from many other manufactures.